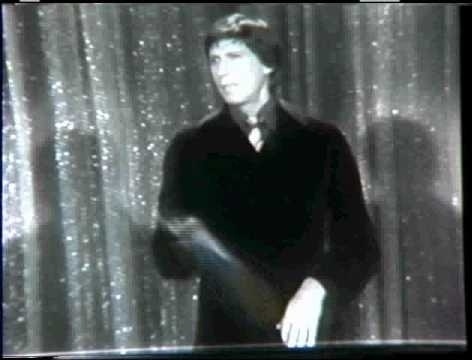 David Brenner's debut on The Tonight Show, Jan. 8, 1971. A spokesman for the family of comedian David Brenner says the "Tonight Show" favorite has died. He was 78. Brenner died Saturday afternoon at his home in New York City, said Jeff Abraham, who was Brenner's publicist. The gangly, toothy Brenner made more than 150 appearances as a guest and substitute host on Johnny Carson's "Tonight Show," starting in the 1970s. His "Tonight" exposure turned the former documentary filmmaker into a hot comedian. Brenner was a regular on other TV talk shows and game shows and starred in four HBO comedy specials. He also briefly hosted his own syndicated talk show in 1987. Brenner continued to work steadily doing standup shows. A four-day gig last December included a New Year's Eve show at a casino-resort in King of Prussia, Pa.